Math Mondays: In celebration of Fibonacci Day! 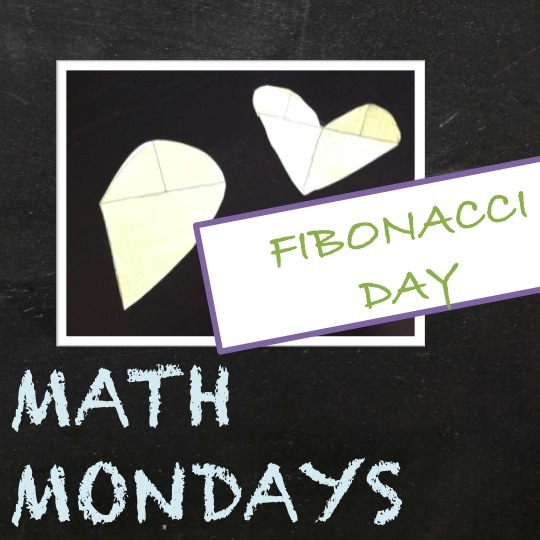 It's Fibonacci day, which made today's math Monday topic easy. I LOVE to incorporate different topics and for Fibonacci sequences, we have great fun with Fibonacci spirals. 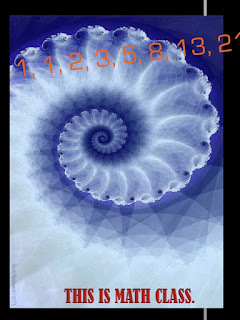 I started with a brief introduction to Fibonacci with a set of images of how the sequence occurs in both nature and how the spiral occurs there as well. It's fascinating to see the link between math and nature (which of course is all over the place). Second, students explore how to draw a Fibonacci spiral. It's pretty basic, but lots of fun. Once students get the hang of it, we start playing with scale and ratio. How can you make a bigger shape? What happens if you double only one side of the square i.e. turn it into a rectangle? 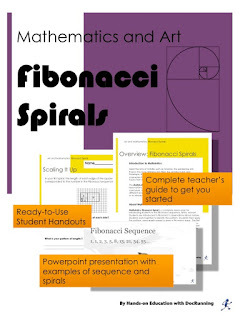 Fibonacci sequences and spirals are great for inquiry learning. And, if you make them near Valentine's day, you can take the spirals and turn two of them into hearts. Make sure to have some fun paper in addition to all the "math" work that goes on. This is definitely a favorite of annual projects that students and I do. You can follow what we do here or create your own. You are only limited by your imagination and that of your students. 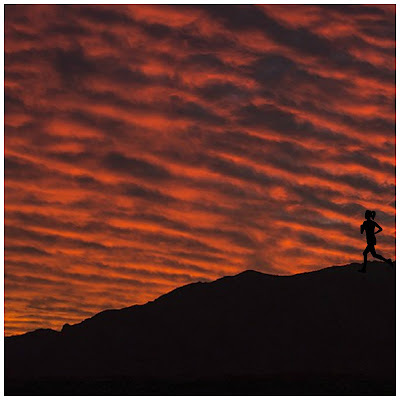 Really great resources thanks! So many intriguing patterns to discover in the Fibonacci sequence, and beguiling connections to nature! Thanks again!